This is a unique opportunity to have a beautiful black & white portrait taken by photographer Elle Fallon in a mini photo studio setting. There is no initial donation required, all portraits will be on display in an on-line gallery after the event and if you would like to buy your portrait all proceeds will be donated to Great Ormond Street hospital . 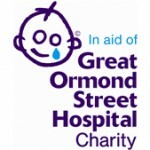 Great Ormond Street needs to raise £50 million every year to help rebuild and refurbish Great Ormond Street Hospital , buy vital equipment and fund pioneering research. Amazing things happen at Great Ormond Street Hospital every day. With your help we can keep the magic alive for very ill children and their families. £7 could help pay for an ‘assisted bath’. £15 could buy three neonatal masks to help newborn babies breathe. £25 could buy a specially adapted toy to aid our patients’ rehabilitation. £83 could support a member of the play team for a day to help create a happy and fun environment for the patients while are spending time in the hospital. 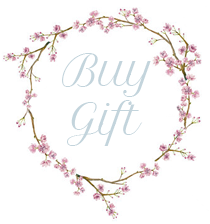 £500 – could buy a respiration monitor to track a child’s breathing. £2300 could pay for a pain relief syringe pump for Cardiac Intensive Care Unit. £8,637 could pay to fit out a neurosciences bedroom with furniture and equipment. Small things can make a big difference and Elle hopes that her fundraising event for the Great Ormond Street hospital charity will help to contribute to raising funds needed to continue the incredible life changing work carried out every day.